Well, this certainly qualifies as big news. It looks like it’ll play pretty much like Wings of Liberty from a Zerg perspective, which was what they had in mind in the first place. You get the same mission structure with upgradeable units, although it seems to be beefed up even more in Heart of the Swarm (since Zerg are hyper-evolutionary I guess). 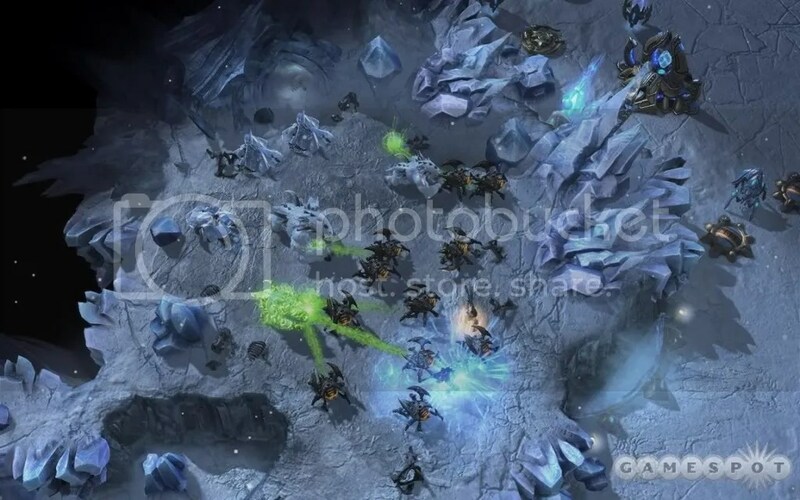 For example, Zerglings — you can upgrade its movement speed, production speed or make it spawn broodlings upon death. After unlocking 2 out of the 3 upgrades or mutations, you can further evolve it to hatch in threes (instead of twos) or gain what sounds like a Zealot-ish charge ability. 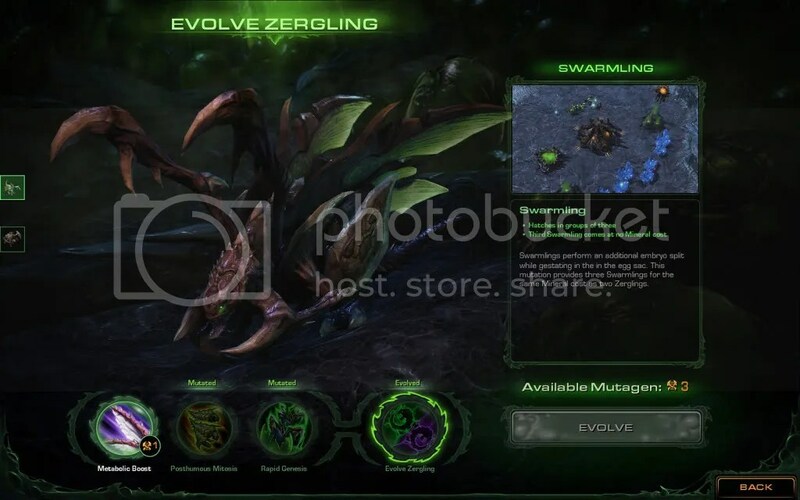 As you visit different worlds you can also use the DNA from the indigenous species to evolve your Zerg swarm, which sounds Spore-ish (in a good way). At the end of Wings of Liberty, Kerrigan was no longer the Queen of Blades, and her control over the Zerg swarm was broken. She still retains control over some of them, including 2 characters who will act as NPCs/advisors (like Matt and Swann). One of the two revealed NPCs. 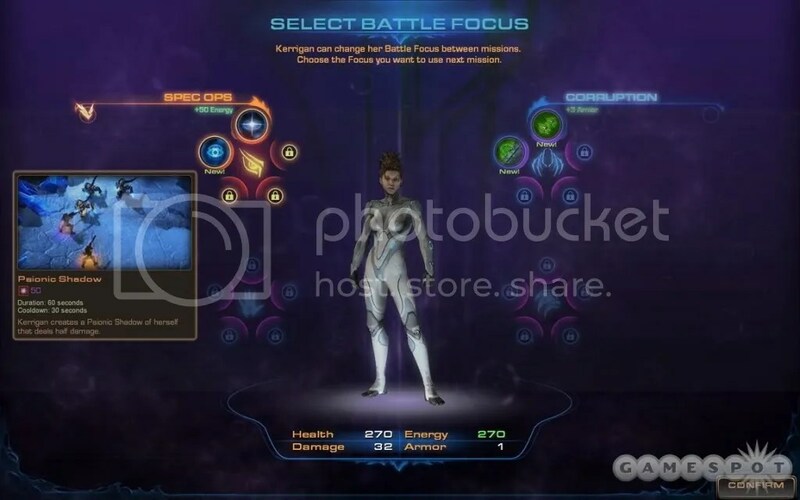 This time, you’ll also get to control Kerrigan as a “hero” unit in most (apparently) missions, and there are also customization options available for her, termed Battle Focus. Based on the screenshots it looks like there’s only 4 sets of interchangeable Focuses with various passive/active unlockable skills in each, so it’s not going to be a RPG-heavy kind of thing. What it does is it allows you to choose between different skill sets, and use the best one depending on the mission you’re on. As usual, the release date will be “when it’s finished”. Hopefully that’s soon (probably not this year though) and maybe there will be more at E3 too. Personally Zerg is my least favourite race (since it’s hard to play) but anything with StarCraft II in it is good in my books. Or anything by Blizzard, in fact. Check out the full preview at GameSpot for more details, a video interview/preview and another. There’s also an interview with Blizzard Insider here. Teaser trailers below plus a longer (probably leaked) video featuring actual in-game gameplay here. More screenshots here. 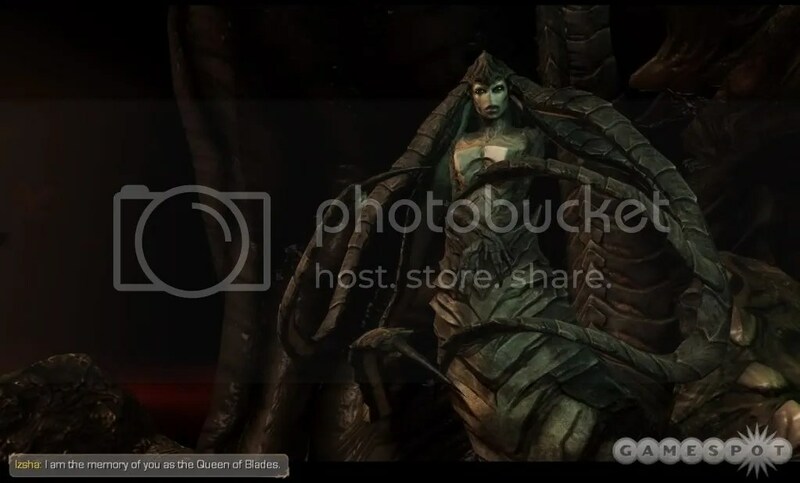 This entry was posted in News, PC and tagged blizzard, gamespot, heart of the swarm, preview, sc2, starcraft 2, starcraft ii. Bookmark the permalink.